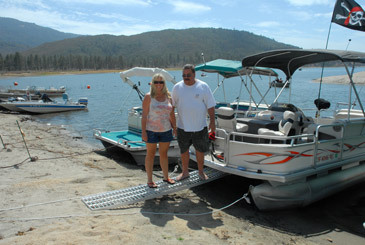 Pontoon Boat Boarding Ramps. Aluminium light weight and strong Pontoon ramps. 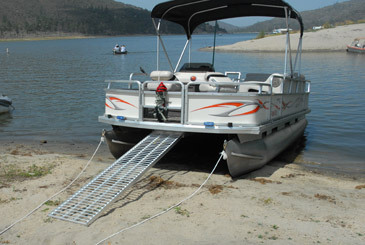 Aluminum Pontoon Boarding Ramps, Board Your Pontoon Boat Safe and Easy, Great for Children and Animals. 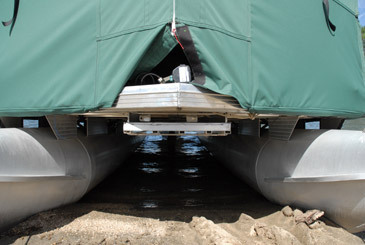 Stores Permanently and Easily Under the Deck of Your Pontoon Boat, Slides In and Out With Next to No Effort.